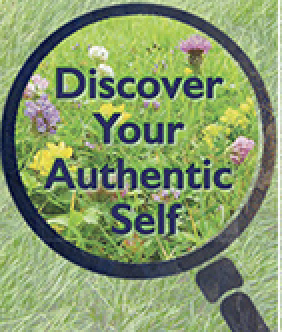 Join us for an inspiring morning to explore the quiet but “powerful knowing” of becoming your authentic self! Please join Puja A. J. Thomson at the Andreozzi’s home for a book discussion and signing. And hear Dr. Shaklee’s story! A Health and Wellness event in Circleville, NY, hosted by Mare Andreozzi, a Shaklee distributor. Puja will explore the relationship of authenticity to health and energy. A pilgrimage, traditional or modern, is an inner journey of personal, and possibly spiritual, significance within an outer journey. For example, you might go, alone or with others, to a holy site, to a place you have dreamed of, in search of your ancestors, or for healing. It could be distant or nearby like a local labyrinth. Discover where YOUR pilgrimage beckons and explore the four phases of a pilgrimage: 1] the preparation, 2] the journey, 3] the arrival and 4] the return to integrate, and perhaps share, its gifts. NOVEMBER 2-4. For reservations, please call (855) 883-3798. This weekend invites you to enjoy the inspirational setting of Mohonk Mountain House as you learn simple techniques that can be used anywhere and anytime to nurture well-being. Learning to trust your own experience enhances the power, energy, and focus available to you on a moment-to-moment basis. When you become more consciously aware, your body, mind, emotions, and spirit can work together to guide you to your most authentic and fulfilling life. Explore skills that will help you be more present in your daily life, honor your energy… and welcome change. Throughout the weekend, join Nina Smiley, Ph.D., co-author of The Three Minute Meditator and Mindfulness in Nature, and Puja A. J. Thomson, author of Track Your Truth: Discover Your Authentic Self, to learn how you can change your life and support your optimal well-being. Breathe deeply the fresh clean air as you discover your inner landscape in a spectacular outdoor environment. Miles of forest trails, timeless cliffs, and a pristine lake offer a remarkable opportunity to bring “Head, Heart, Hand, and Hunch” to life supported by the power and spaciousness of nature. You can also enjoy mindfulness in motion as you experience “forest bathing” with Nina Smiley and delight in autumn as it embraces our mountaintop. A cancer diagnosis can change your life, challenge your sense of self and burden you with countless decisions. In this workshop, Puja Thomson helps you integrate your own wisdom with practical guidance. You can become a detective, with skills to follow the clues of your body, mind, emotions and spirit, focus your energy, and create useful new habits as you organize and keep track of your cancer experience. 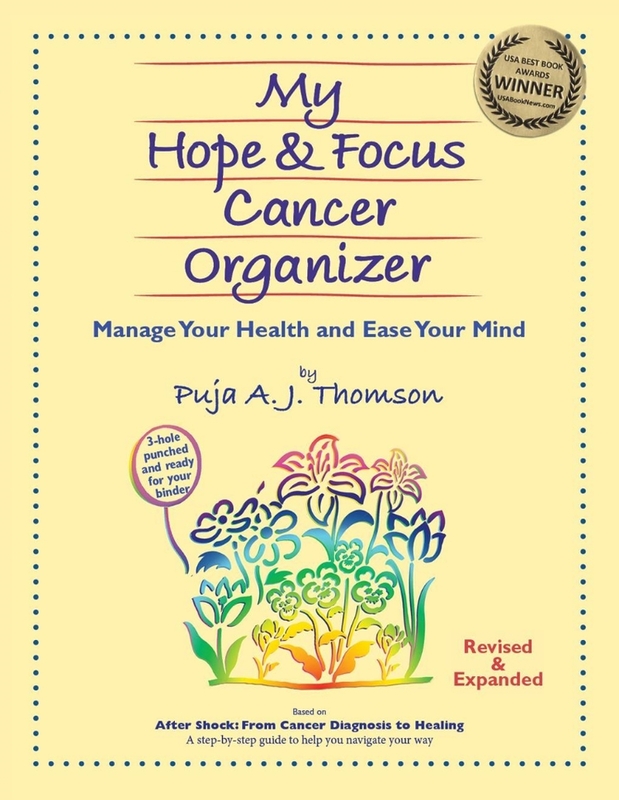 Puja will share tools from her new book, Track Your Truth, along with those in prior publications: My Hope & Focus Cancer Organizer, and AFTER SHOCK: From Cancer Diagnosis to Healing, to clarify what’s true and healing for you. Puja Thomson introduces her new book Track Your Truth: Discover Your Authentic Self, which is designed to guide you to create your most meaningful life. We are so often easily distracted from truth because we listen to others and not ourselves. However, you can become a detective, following the clues within yourself that you may have ignored or overlooked, to discover what works and what doesn’t, in your life. Puja will read excerpts and facilitate discussion. Puja A. J. Thomson draws from extensive professional and personal experience as a holistic therapist, interfaith minister and workshop leader in her native Scotland and the USA. Other works include: After Shock: From Cancer Diagnosis To Healing, My Health & Wellness Organizer, My Hope & Focus Cancer Organizer, and Roots & Wings For Strength and Freedom, a guided imagery and meditation CD and workbook. She is director of ROOTS & WINGS in the Mid-Hudson Valley of New York. 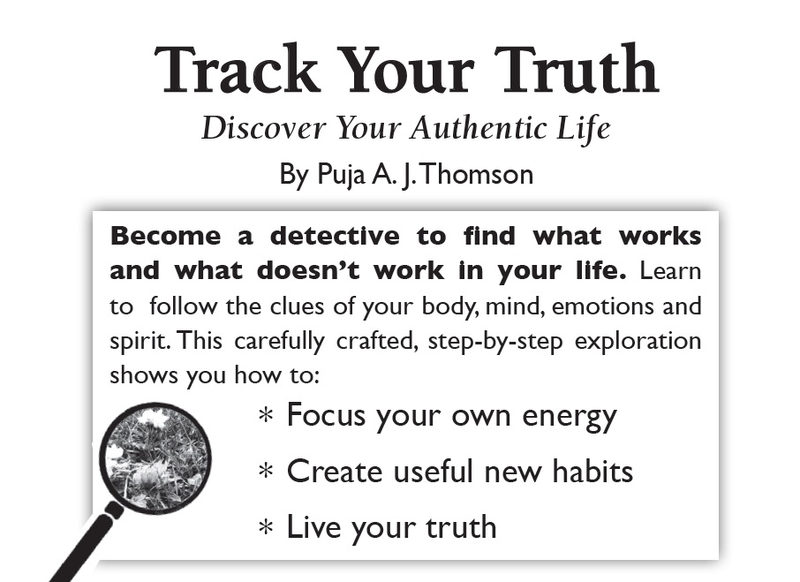 Puja presents her new book Track Your Truth: Discover Your Authentic Life at the Study Club of New Paltz. Puja is looking forward to talking to the Retired Men of New Paltz for 20 minutes at 8:30 at the New Paltz Plaza Diner (after breakfast). Puja will talk about Track Your Truth, read short excerpts and sign books. Refreshments will be served, RSVP appreciated. Facing change can be challenging whether it results from your concious choice or is thrust upon you. Learn ways to understand and work with your personal energy to help you shift perspectives, release old habits and open up new options so that you can move more graciously /easily and constructively through changes that inevitably happen--no matter what age you are. Puja will give a short presentation drawing from her cancer journey, with practical suggestions to encourage survivors, families, and care-givers. F D Roosevelt High School in Staatsburg at 9 Old Post Road. A pilgrimage is an inner journey of personal significance and possible spiritual meaning within an outer journey. We will consider both traditional and modern options: Alone, or with others, you might choose to travel for healing, in search of your ancestors, to a holy site or a place you have dreamed of. It could be distant or close at hand, like a local labyrinth. We will explore the four phases of a pilgrimage which starts with the preparation, and continues with the journey, the arrival, and finally the return to integrate and perhaps share its gifts. Discover where your pilgrimage beckons. TRACK YOUR TRUTH: How to live an authentic and healthy life. Our body, mind, emotions, and spirit constantly give us signals to help maintain a healthy balance. Yet all too often we listen to what others have to say, or indulge a bad habit, ignoring our own inner sense of what is right for us. In this session learn to recognize and follow the many faceted clues—a physical pain, a gut feeling, even an intuition—to reduce stress, release negative habits, replenish your energy and chart a healthier course. When you choose to live your life authentically from the inside out, you give your body a powerful message to be well. Become the creator and manager of your own health journey. Topics include navigating the medical community, how to help your physician(s) to help you, questions to ask, second and third opinions, choosing from conventional, complementary and alternative therapies; organizing the paper trail, medical records, billing, insurance and advance directives; developing support and creating your own wellness program. This is the first of four group meetings. The following three will take place on April 1st, April 8th and April 15th at the same location (TBD) and time. For Lifetime Learning Institute (LLI) Members Only. Puja Thomson will show you how to use her easy guide, My Health & Wellness Organizer to manage your healthcare and your medical records. It will help you find everything without fuss or stress. If possible, bring a 3-ring binder. You can purchase an Organizer. . Open to residents of Woodland Pond . Disorganization is hazardous to your health! Good record keeping is essential when you are faced with any health challenge. In this practical workshop, you will learn to use Puja Thomson’s organizing tools to simplify and track your record keeping. What matters is that YOU can find everything without fuss or stress. Material fee: $12 payable to instructor. Please bring a 3 ring binder. Contact Puja to schedule a speaking engagement or workshop, ceremony, life-changing consultation or spiritual counseling. "Nourish your roots & spread your wings!"